I was born in Cape Town South Africa settled in Australia in 1983. I have enjoyed working on various craft projects but later developed a preference for watercolour with an African flavour. 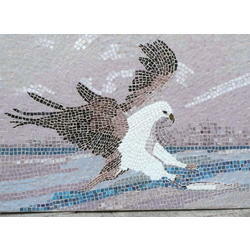 In recent years I have been intoduced to mosaics. 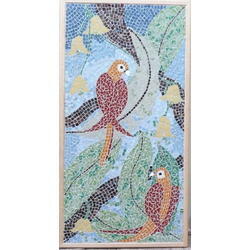 These have become very popular due to my individual style and use of a variety of mosaic materials in addition to ceramic. 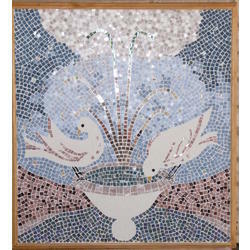 Coloured glass, mirror glass pebbles and beads are used to great advantage creating symbolic features and in particular my Tree of Life variety.